In a Nutshell: Now in its 80th year in the banking business, Bellco has a longstanding history of customer satisfaction, award-winning service, and community support. This Colorado-based credit union has built up its reputation through charitable works and event sponsorship. In 2015, Bellco saw its greatest year ever, breaking records in membership, deposit growth, net income, and more. 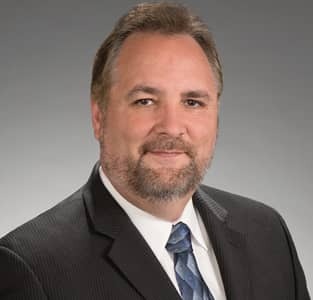 With 21 branches (and a new one opening soon), this company is constantly growing to better serve its customers and its community. It’s a typical summer night in Thornton, Colorado when people slowly start to gather together in a local park for a free nighttime movie. Couples sit on blankets, families pass popcorn around, and children somersault back and forth on the grass. Beneath the quiet starlight, a heartwarming family film plays while the audience laughs and applauds. You wouldn’t think so, but all this is made possible by a credit union. This delightful scene is just one of the ways that Bellco gives back to its members. 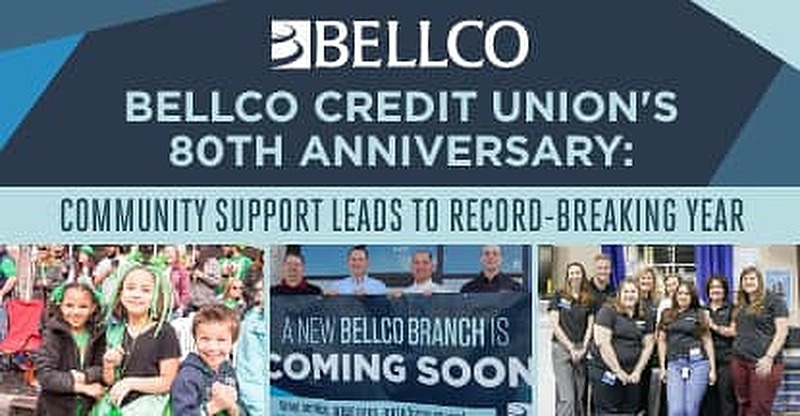 Among the largest credit unions in Colorado, Bellco boasts more than 260,000 members and a little more than $3 billion in assets. It currently has 21 open branches with a new one planned to open in May 2016. 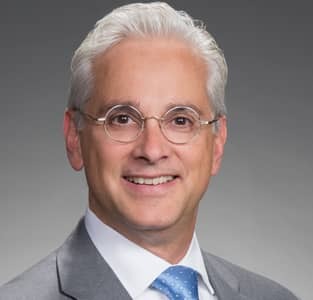 John Rivera, Senior Vice President and Chief Retail Officer of Bellco. But even greater than its size is its commitment to bettering the community through charitable support, employee volunteering, sponsorships, a green initiative, and other events. In 1936, Bellco began in the basement of a local phone company. Its objective was simple: to serve the community with compassionate service and great products. Eighty years later, that intention for social good is still going strong, with no sign of stopping any time soon. In fact, by focusing on its members, the company has seen unprecedented expansion in recent years. Bellco cares about helping people in more than just banking. As a general practice, this credit union fosters a social and neighborly atmosphere in Colorado. “We like to sponsor a lot of family-type events in the community that bring people out on a weeknight or a Saturday night,” John says. Getting people outdoors having fun is their specialty. The events sponsored by this beloved credit union can be anything from a 5k run or a concert series featuring artists like Styx, Gladys Knight, or Poison. At these concerts, many oldies but goodies show up to perform for a cheering crowd, and Bellco helps underwrite the cost of the concerts. For the past decade, this time-tested company has also served as the title sponsor for the annual Denver St. Patrick’s Day parade, the largest west of the Mississippi River. On that afternoon in the state capital, about 300,000 people flood the streets to watch step dancers, pipe bands, equestrians, and city dignitaries pass by. Bellco employees don their tall green hats and march proudly alongside these performers. Bellco employees join Denver’s annual St. Patrick’s Day Parade for a day of beaded necklaces and shamrocks. Organizing many helpful initiatives, Bellco’s contribution to Colorado isn’t limited to festivals and fun, but also includes good works. Every month, the credit union chooses to highlight a single charity and raise money for that cause. Each Charity of the Month is recommended by members through digital channels. During the month, the credit union collects donations from its members and then matches those contributions. As a result of the program, hundreds of dollars are raised for many reputable charities such as the American Red Cross. Bellco is such a pillar in the community that just recently, Governor John Hickenlooper declared April 27th to be Bellco Day in the State of Colorado. This honor is not taken lightly by the company. This member-centric attitude motivates every action — from major decisions by the CEO to daily choices by individual tellers. For Bellco, it’s all about how the team can positively impact the lives of each and every member. To this end, the company hosts 21 individual Member Appreciation Days for each of its branches across the state. Each branch gets its own day when the bank opens its doors to its members, providing food and easy conversation as a token of gratitude. Of course, Bellco doesn’t just appreciate members on these specially set aside days. Every employee works hard to make sure that members feel valued and welcome. “When members come into a branch, they’re treated like VIPs,” John says. Month after month, the credit union surveys its members and receives positive feedback on its services. The team’s efforts pay off as they consistently score in the high end with customers and outdo other banks. Award-winning service is just how Bellco does business. As a testament to its stellar service, Bellco recently saw the greatest year of growth and revenue in 80 years. Opening a Bellco account is easily done online, attracting an increasingly youthful and tech-savvy membership. Bellco’s initiative to increase its Hispanic members yielded returns as well. That demographic grew along with overall membership. John tells us that the greatest and most surprising demographic shift came from the age composition of members. In July of 2015, Millennials surpassed Baby Boomers in number of members. This affects how the bank operates because Millennials have different needs than other age groups. Right now, these young members are in early adulthood and in need of lending. John spends his days assessing such information and explains that in particular real-estate loans are growing faster with Millennials than any other group. The new influx of youthful members isn’t going to make the team forget the Baby Boomers. For these longstanding customers, the company offers free financial planning. This means that Boomers can enter retirement with one less financial burden. Financial success and membership growth translates to new branches opening across Colorado. The impact of 2015’s record-breaking success is that Bellco can now afford to expand itself with more digital channels, new branches, and popular sponsorships for its members to enjoy. Bellco gives back in events, charities, initiatives, and volunteerism — all dedicated to the betterment of Colorado. Every encore at a concert or donation to a charity showcases the company’s good works in all aspects of life. John says their overall efforts are threefold: to support the community, to offer competitive and valuable products, and to provide excellent service in every branch. By doing this, and doing it well, this dedicated team earns the loyalty of their members. “It really starts from the top down,” Jim adds. “Our CEO’s philosophy is that we exist to serve our members and help with their financial needs.” That altruistic drive informs every goal and and action taken by Bellco for over 80 years of community service.